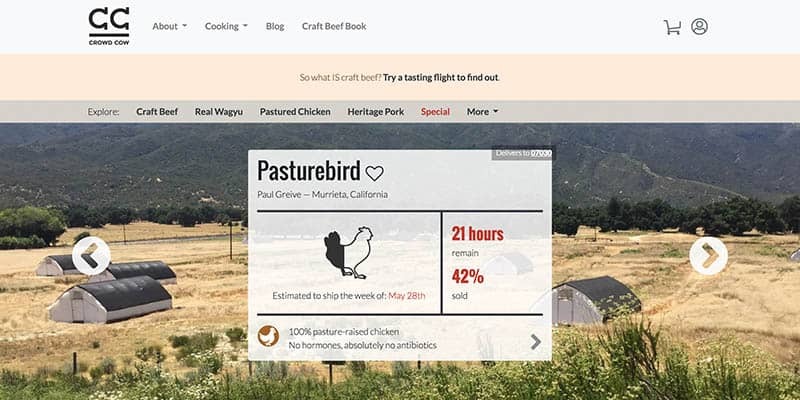 Crowd Cow Review: The Most Creative Way To Buy Meat Online? Are you on the hunt for the perfect place to get beef, chicken, and pork? Do you want to make sure it’s pasture-raised and hormone-free? Well, you’re in the right place. Crowd Cow will quickly become your online go-to for ordering high-quality meats for you and your family to enjoy. Since they are super selective about the farms where they source their meat, you can ensure you’re only getting the best with each order. The coolest part about their service, and what sets them apart from most of the competition, is that you can learn all about your meat and where it came from before ordering. You’re not getting that from grocery store meat! It certainly provides you some piece of mind regarding what you’re eating. Sound enticing? We have the full scoop on how this service works and what you need to know before signing up for yourself! Crowd Cow gives you full control over the meat you purchase. 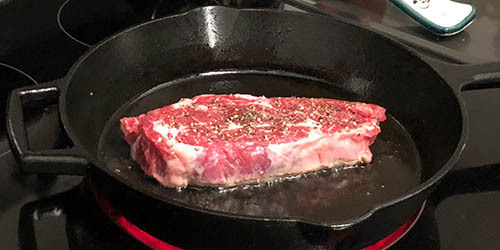 Unlike when getting meat from a grocery store chain or “big box” online meat sellers, you’ll know the breed, style of beef, and you’ll get to learn all about the independent ranch that produced the beef. You’ll also be able to choose the exact cuts you want. There’s no mystery delivery each month or anything like that. Plus, you get to order as much or as little as you’d like depending on your needs. You get to fully customize your order, which is something you can’t always do with certain meal delivery services. And since it’s not a subscription service, you’re able to order whenever you want. The way this all works is through the event-based service that Crowd Cow provides. 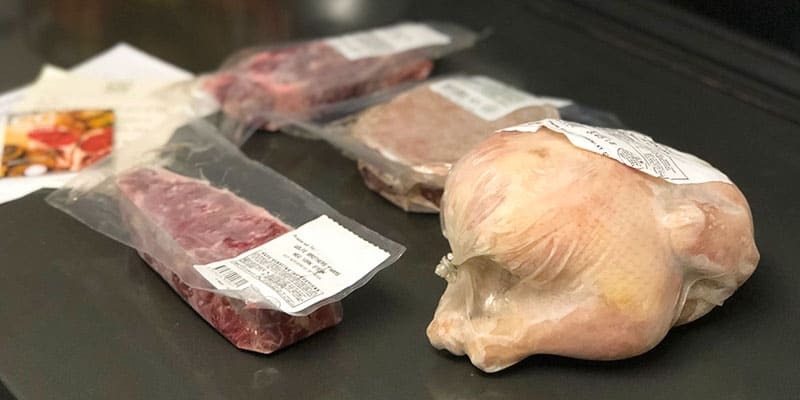 Depending on what they’re able to get from the farms they partner with, they’ll offer meats from different regions, provide different cuts, and everything will be at a variety of price points. You’ll receive a notification via email when an event is coming up so you can be online to place your order. Think of Crowd Cow as the ethical and fun crowdsourcing app of the meat industry. Once you’ve selected what you want, your meat is individually wrapped, flash-frozen for maximum freshness in transit, and then sent straight to your door. You can find almost every type of cut of beef, chicken, and pork on Crowd Cow’s website. All of their meat comes from animals that have been pasture raised and have never been treated with hormones. And since they only work with local independent farms, you know the animals weren’t raised by “factory farms” with inhumane conditions.. The farmers that supply meat for Crowd Cow are hand-picked. They visit every single ranch, talk with the owners, and see how the animals are being raised before approving their meats. Because of their dedication to quality that can provide customers with 100% grass-fed, grass-finished beef, as well as pastured grain-finished beef. Customers also get access to A5 Wagyu from Japan (an extremely rare type of beef) and many other varieties. At this time, Crowd Cow delivers everywhere in the United States except Alaska and Hawaii. As long as you’re located in one of the other 48 states, you’re good to go when it comes to placing an order. Once your order has shipped, you will receive tracking information via email. This will allow you to see your expected delivery date and track your package as it makes its way to your home. The best part is you don’t have to worry about being home to accept your delivery, so there’s no need to plan your day around it. Since a signature isn’t required at the time of delivery, it’ll be left on your doorstep for you. The meat is packaged to stay cold for many hours after it arrives. You won’t have to worry about something spoiling before you get home from work at the end of the day. However, once you do arrive at home, you’ll want to unpack everything and put it in the freezer or fridge right away to ensure it stays safe and at the optimal temperature. Keep in mind you will have to pay shipping for every order you place. Crowd Cow charges $12.99 per order, no matter how much you buy or where it ships to. How your order is packaged is very important because your meat obviously needs to stay fresh during transportation. Crowd Cow uses a variety of methods for packaging the meat, depending on the type and cut. For instance, steaks and roasts are individually vacuum sealed in airtight cryovac packages to ensure freshness and a long shelf life. Ground beef patties are vacuum sealed in one-pound packs for your convenience. Bones get wrapped in butcher paper. Everything you receive is flash-frozen and then packed up inside an insulated box with dry ice. That’s what will keep everything safe and fresh as it makes its way to your home. 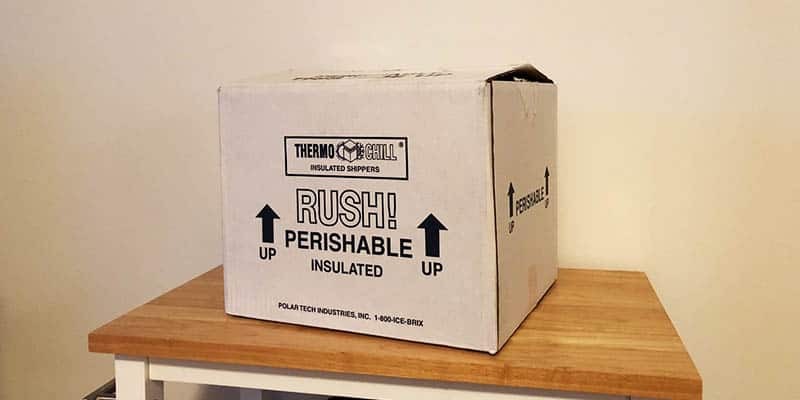 Based on our experience, you never have to worry about something spoiling because this packaging is designed to keep things cold for hours after delivery. We weren’t able to open our box until late the night we received it and still all of the meat was fresh and frozen. Because Crowd Cow is very particular about the farms they work with, you can feel confident that you’ll receive a high quality product each and every time. 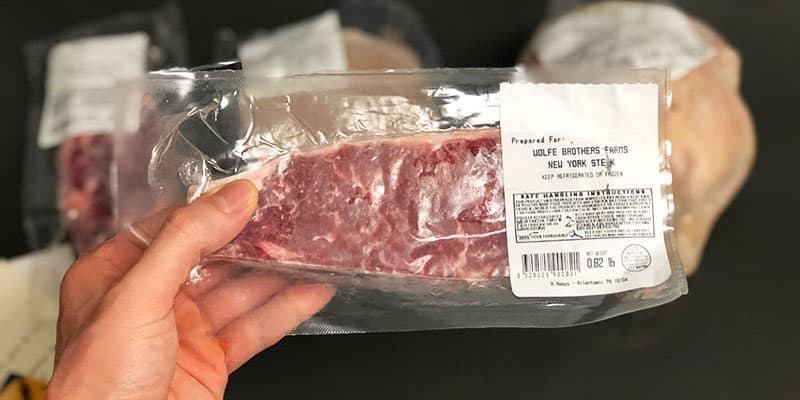 The meats you’ll receive are never going to be from concentrated feedlots or meat brokers, which is what you might often find a grocery store chain. Instead, your meat comes from farmers who truly care for raising the best animals they can. Since this isn’t your typical meal delivery service that provides you with fresh ingredients and a recipe, the cooking is entirely up to you. You’re able to get creative with how you prepare the cuts of meat you purchase, instead of being stuck following a recipe. Luckily, that doesn’t have to be intimidating for those who aren’t experienced in the kitchen. Crowd Cow provides all kinds of resources on their website to help you prepare a great dish. They share cooking techniques, recipes, thawing instructions, and more. We ended up using their recipes for all of the meats we cooked (from beef to chicken). Surprisingly, they all turned out delicious. This really tells you a lot about the quality of meat they sell. 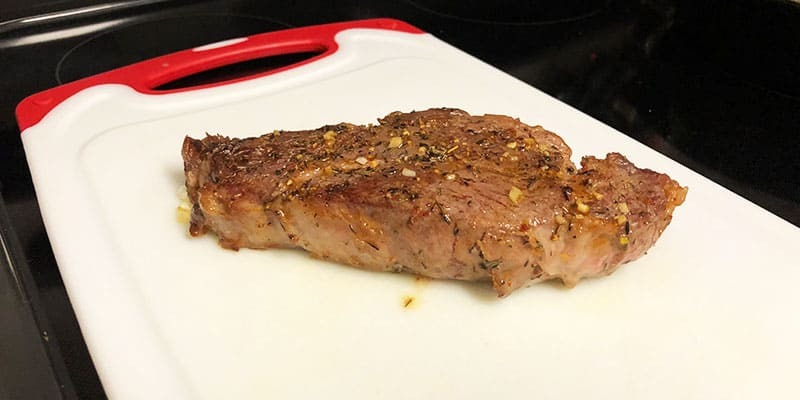 Thanks to top-notch meat, recipes, and cooking techniques that Crowd Cow offers, you can whip up something tasty in no time at all. The main differences in meat from Crowd Cow, when compared to regular grocery store meat, are taste and flavor. First, the beef we first made with Crowd Cow was incredibly tender and juicy. When eating, my tastebuds could just tell that it was fresher than what I’ve had in the past. It was like the difference between a microwavable dinner and a five-star restaurant. Not only that, the flavor of the meat was out of this world. You can really taste the difference in flavor with high-quality meats that are raised the right way. How much you spend is entirely up to you since you’re able to control how much or how little you choose to order. Plus, specific types of meat and certain cuts will obviously come in at different price points. 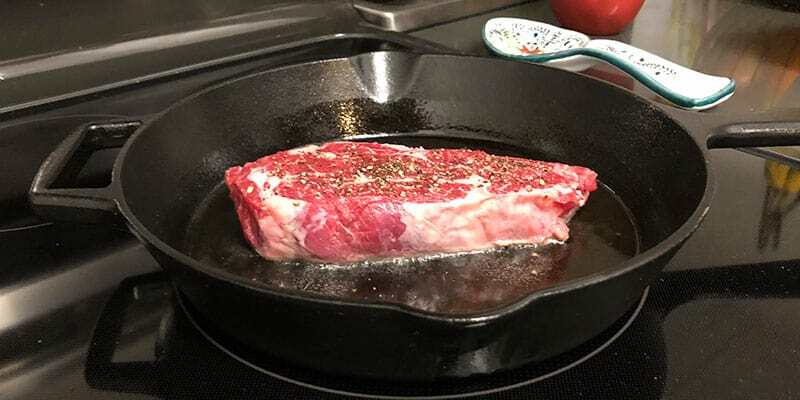 For example, you can get steaks from $4.50 per serving, which is a pretty great deal compared to some grocery stores. When placing your order, remember that you’ll also have that $12.99 shipping fee to pay as well. So it makes the most financial sense to stock up on as many cuts as possible and keep them frozen. Overall, I would rate Crowd Cow as a fantastic resource for anyone looking to purchase high-quality meat online. They blew me away with their dedication to the farms they work with and how the animals are raised. To be honest, not all online meat sellers care how the animals are raised. It impresses me that Crowd Cow does. Crowd Cow is perfect for anyone that doesn’t have access to a local farm or butcher. High-quality meat is important to have for more than just taste. A lot of the meat that comes from local grocery stores can be from animals that have lived in harsh conditions. And while that may not be the first thing you think or care about when buying meat, remember that how the animal lived affects its taste and nutrients. If the animal was raised in a way that was stressful and harmful, it will lead to less flavorful and less nutritious meat. Lastly, and most importantly, Crowd Cow gives you something that is relatively unheard of in the meat industry—information on where your meat came from. This is important because it allows you to not only educate yourself on what you’re eating but it also allows you to support local farmers, instead of massive factory farms. Have you tried Crowd Cow? Have a question we didn’t answer above? Leave your comment below! Crowd cow is the single worst site I have ever used due primarily to their service and inventory management. These guys have screwed up 2 out of 3 orders and I’ve heard of many other complaints from people in my office. One delivery came warm and opened with blood leaking everywhere. The other was cancelled because they sold me something they didnt actually have. I would stay clear from this company. Sorry to hear about your experience! Have you tried any other similar services like Butcher Box?